TMJ disorders are a family of problems related to your complex jaw joint. 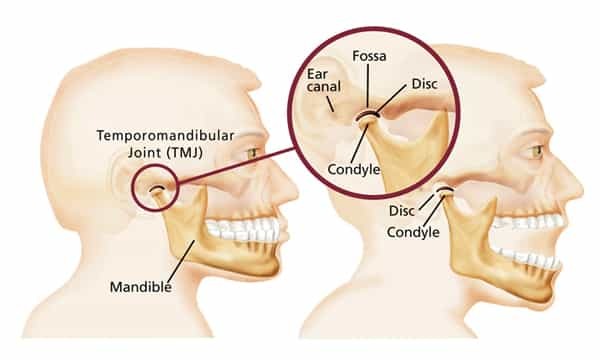 TMJ stands for Temporomandibular Joint, which is the name for each joint (right and left) that connects your jaw to your skull. Clicking or popping sounds from your TMJ area are found in 40% of the normal population at one time or another without any dysfunctional problems (pain or limited motion) associated with it. In the cases where symptoms like pain with limited motion with a “clicking” or “popping” sounds occur, we now call this TMD or Temporomandibular Dysfunction. You’ll be glad to know that these problems are more easily diagnosed and often treated non surgically or with minimally invasive surgery than they were in the past. These symptoms occur when the joints of the jaw and the chewing muscles (muscles of mastication) do not work together correctly. Since some types of TMJ problems can lead to more serious conditions, early detection and treatment are important. No one treatment can resolve TMD disorders completely and treatment often takes time to become effective. Any of the causes listed above can damage the joint directly or stretch or tear the muscle ligaments. As a result, the disk, which is made of cartilage and functions as the “cushion” of the jaw joint, can slip out of position. Whatever the cause, the result may include a misaligned bite, pain, clicking, or grating noise when you open your mouth or trouble opening your mouth wide. As we mentioned earlier, just because you are experiencing popping of your jaw does not mean that you have a TMJ disorder. The following questions are a good resource to help you determine whether or not you should call our office for a consultation. Is stress making your clenching and pain worse? The more times you answered “yes”, the more likely it is that you have a TMD disorder. Understanding TMD disorders will also help you understand how they are treated. There are various treatment options that we can utilize to improve the function of your jaw. However, the first step in treatment is always an evaluation. This allows us to confirm a diagnosis of TMJ disorder, and then proceed with the proper course of treatment. Regardless of the specific treatment plan, outcomes are always better with a team approach of self-care joined with professional care. Splints – temporary plastic appliance or night guard. Splints are temporary, clear plastic appliances (sometimes referred to as night guards. Appliances also help to protect from tooth wear. There are different types of appliances used for different purposes. Night Guard – A night guard helps you reduce clenching or grinding forces on your teeth and reduces muscle tension at night and therefore helps to protect the cartilage and joint surfaces. Anterior Positioning – An anterior positioning appliance moves your jaw forward, relieves pressure on parts of your jaw and aids in disk repositioning. It may be worn 24 hours/day to help your jaw heal. Orthotic Stabilization – An orthotic stabilization appliance is worn 24 hours/day or just at night to move your jaw into proper position. 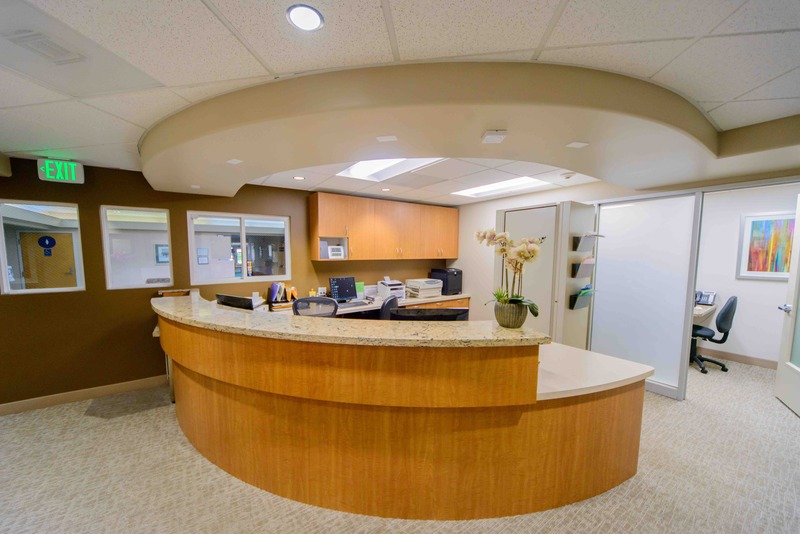 If your TMD disorder has caused problems with or was the result of how your teeth fit together, you may need treatment such as bite adjustment (equilibration), orthodontics with or without jaw reconstruction, or restorative dental work. Surgical options such as arthroscopy and open joint repair restructuring are sometimes needed but are reserved for severe cases. Dr. Chun does not consider or recommend TMJ surgery unless the jaw can’t open chronically more than 25mm, is dislocated and nonreducible, has severe degeneration with significant pain, or the patient has undergone appliance and physical therapy treatment unsuccessfully and is recommended by the Oral Facial Pain / TMD specialist for surgical treatment.